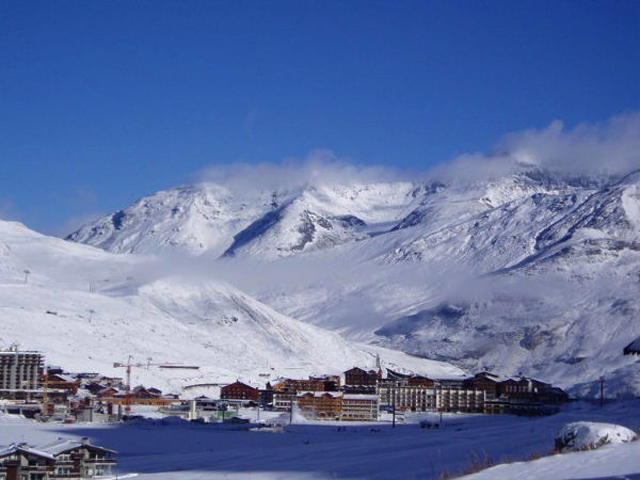 This apartment is located in the upper central part of Val Claret. 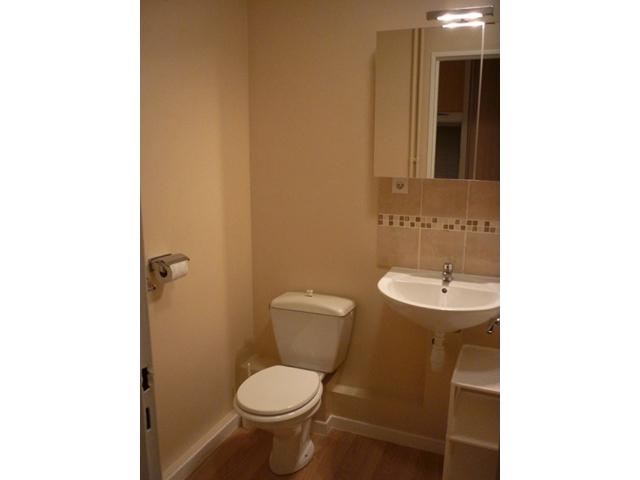 It is just 50 metres from the shops, bars and restaurants, and the nearest ski lift is just a few minutes walk away. 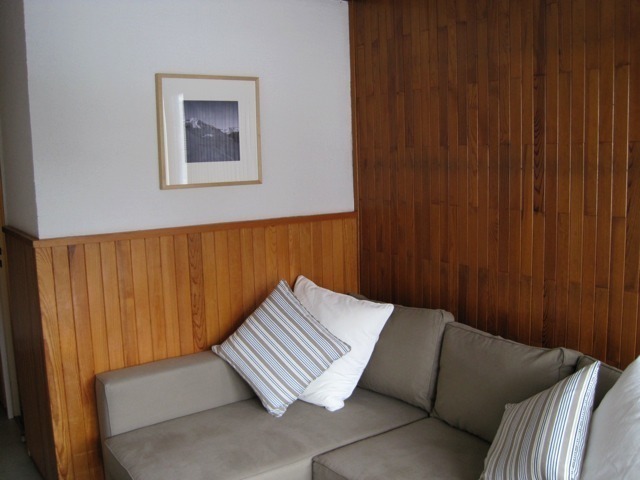 It is conveniently located next to the lift pass office and tourist information centre who provide baggage storage and showering facilities on your day of arrival and departure if necessary. 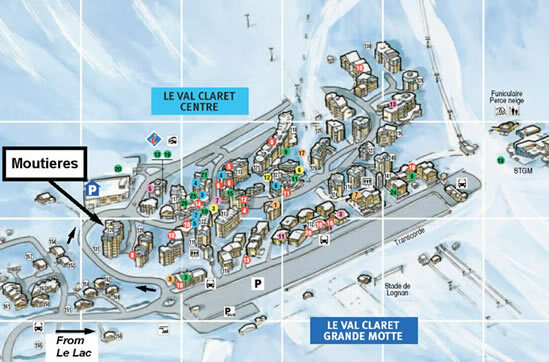 It is also just across the road from the main indoor car park in Val Claret, the ‘Parking du Golf’. 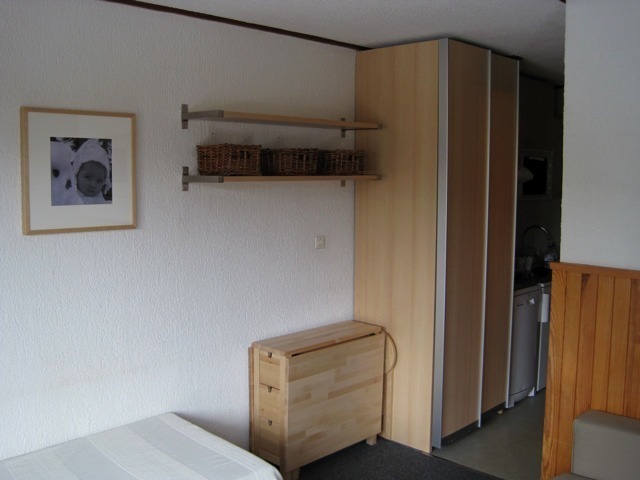 Moutiers 12 is a studio apartment with the beds situated in the living area. 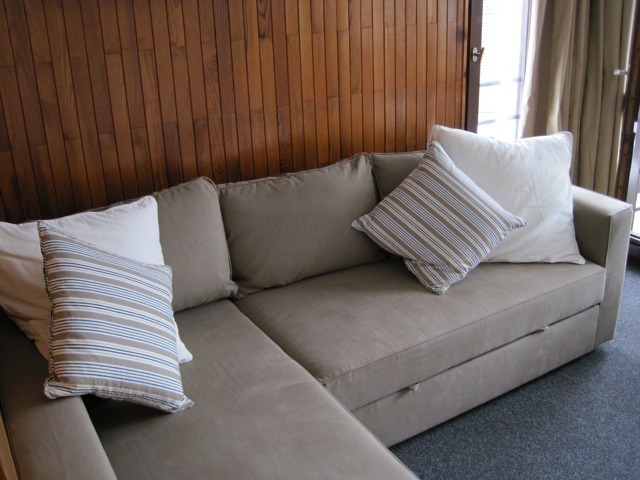 There is an L-shaped sofa bed which pulls out to create a double bed, and another sofa bed which pulls out from underneath to make two single beds. Due to the size of this area, having all beds pulled out at once takes up the majority of the living space so although it will sleep four people, we recommend it best suits a couple or 2-3 singles. 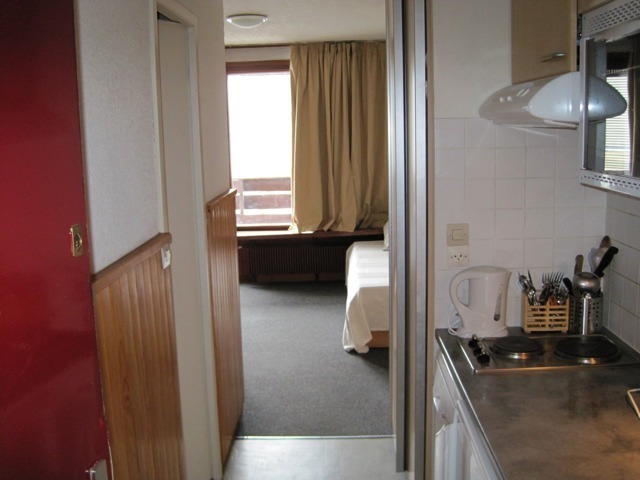 There is a galley kitchen and a bathroom off to the side. 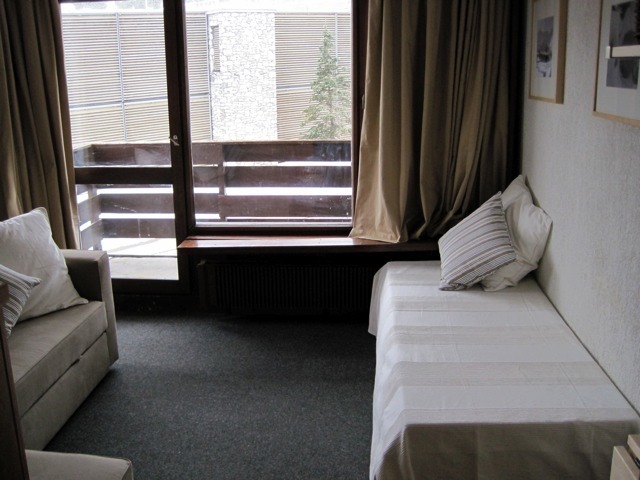 The balcony is east facing and has lovely views down to Tignes le Lac. The kitchen has 2 electric hobs, a small oven/grill, a fridge, a kettle and a coffee machine. In the living area there is a TV/DVD player (please note the TV does not pick up terrestrial television) and an iPod docking station. 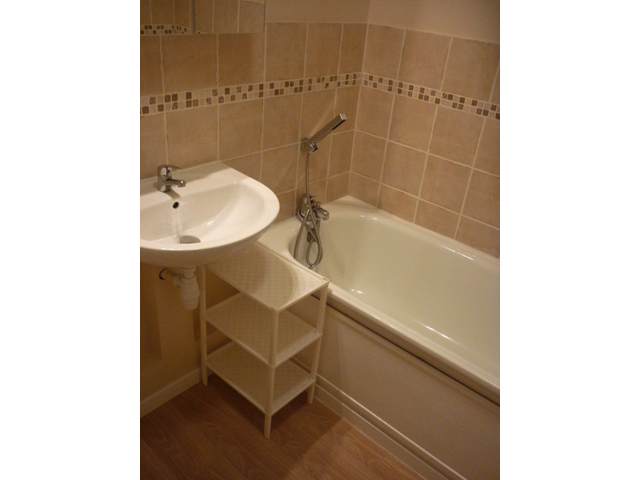 The bathroom has a full bath with shower attachment, toilet, wash basin. * £200 per week, flexible dates.